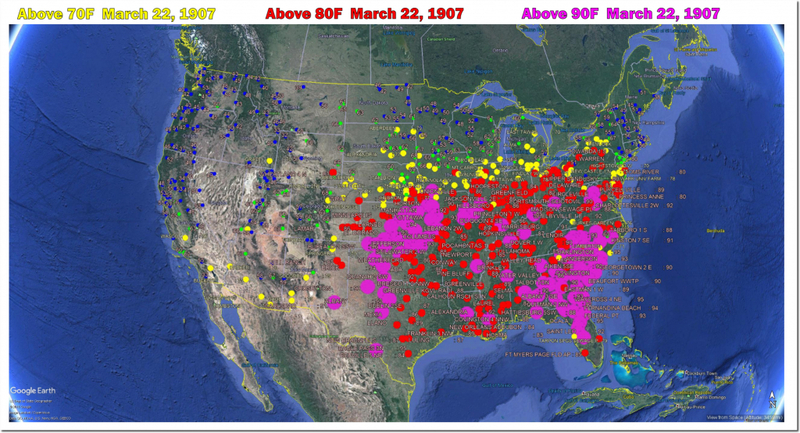 On this date in 1907, the average maximum temperature across the US was 73F, and White Hall, Illinois was 94F – more than 40 degrees warmer than today. 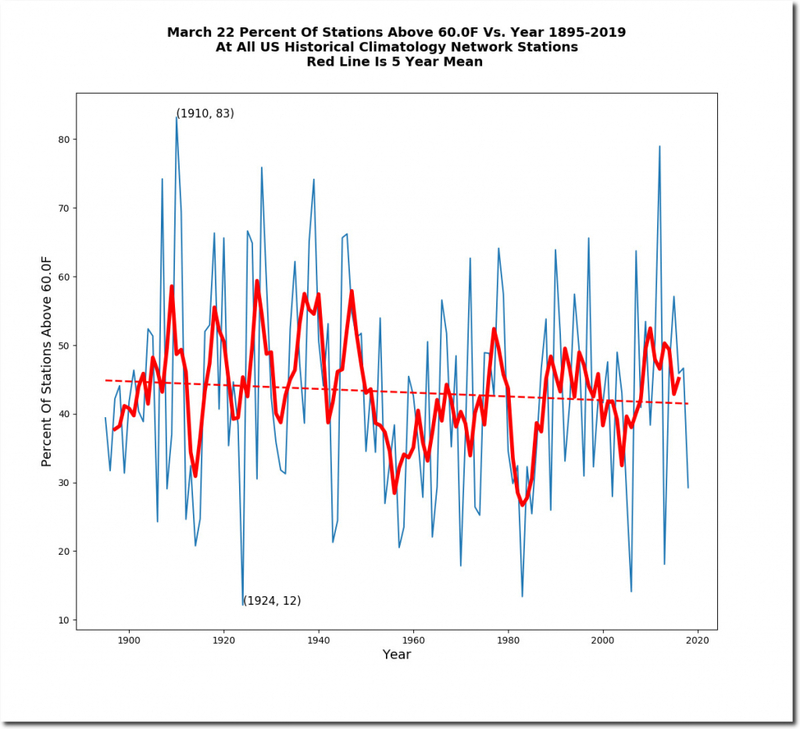 Imagine the hysteria from climate scientists if Illinois had March temperatures that hot today. 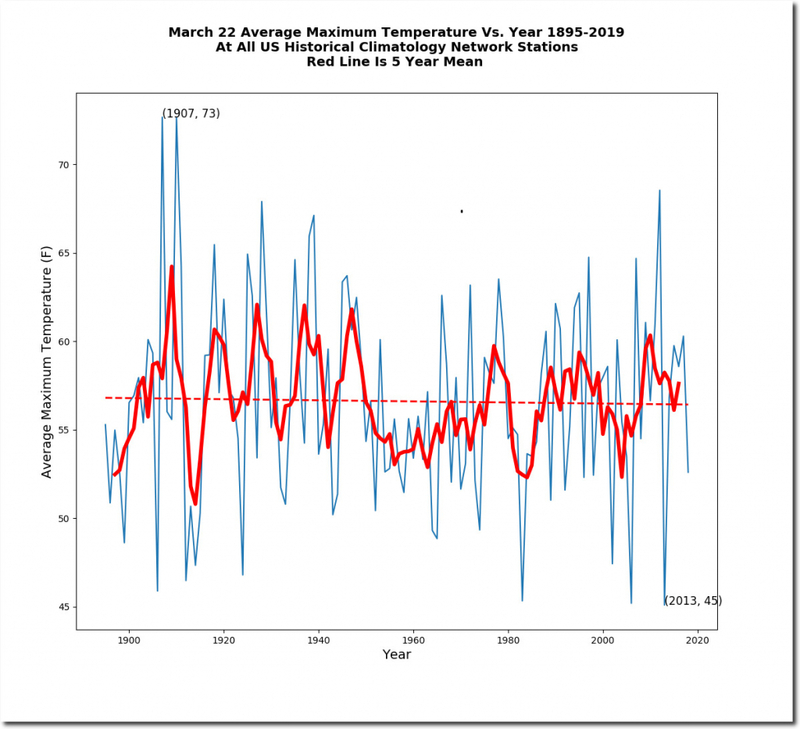 The two warmest March 22nd’s were in 1907 and 1910 – when CO2 was 300 PPM. Continuing the trend of the last two decades for blooming LATER not EARLIER, cherry blossoms in DC are on track for peaking around April 3-6, which is Day 93-96 of the year. With a couple of cold snaps on the horizon, am wondering if the cherry blossoms will be even later than forecast. Humans can lie, but cherry blossoms do not. DC has three 90 degree days in March 1907, but the hottest in the last 70 years is 89. I don’t believe that could be so if there was truly a global warming crisis. Nobody cared about the climate back then. Times have not changed in that perspective because still hardly anybody cares about it. Only the climate alarmists do. 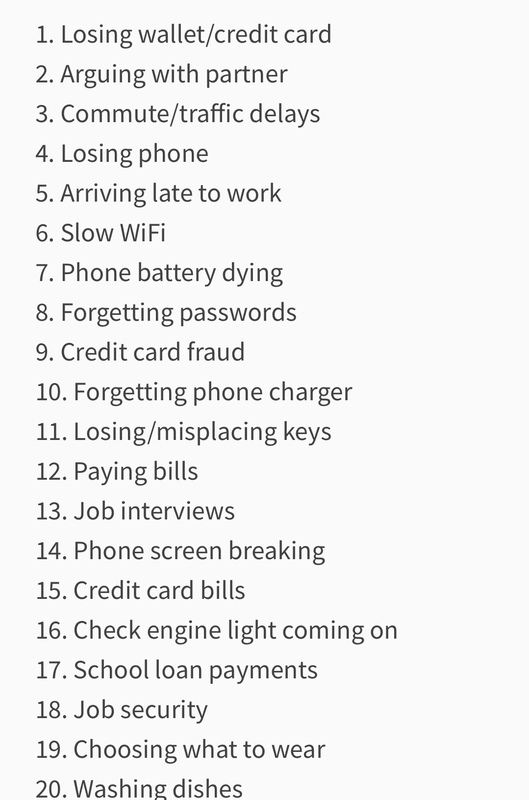 People with such a list of worries have no real problems-except narcism and virtue signalling. And AGW gives them the best reasons and rewards to satisfy these needs. We just got 5″ of snow today in New Hampshire. Yup – Spring has arrived! Ski slopes will be busy in the NE this weekend. New powder.